Our range of products include laminated bags, laminated light weight bags, laminated gusseted bags and laminated rice bags. With the comprehensive industry knowledge of allied domain, we are engaged in manufacturing, supplying, and exporting a superior quality range of Laminated Bags. The offered bags are designed under the supervision of our experienced professionals, who uses finest grade plastic film materials with the aid of prints. To design and make long lasting bags, advanced machines along with computer graphics and digitalized are used for flawless lamination, and accurate length. In addition, our valued patrons can avail the provided bags at industry leading rates. As an affluent name of this domain, we hold expertise in offering high quality Laminated Light Weight Bags to our clients. These bags are made available in a variety of sizes and load bearing capacities. Clients can also provide their custom requirements according to the needs. The standard sizes available in the bags are 200g, 500g, 1Kg, and custom. Due to fabricated adhering to the food industry guidelines, these recyclable bags keep the spices fresh for a longer time. We feel proud to introduce ourselves as the leading organization in this domain, engaged in offering an excellent grade Laminated Gusseted Bags. 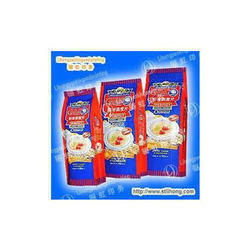 These bags are manufactured using quality plastic film. In addition, provided bags help in carrying and storing heavy stuff easily. The given bags are made accessible in exciting colors and multiple sizes. Provided bags are designed under the supervision of our deft professionals using excellent quality materials with the help of cutting-edge techniques. 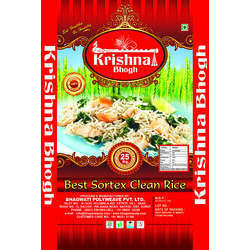 Fostered with the short time experience, we are engrossed in manufacturing, supplying and exporting Laminated Rice Bags. 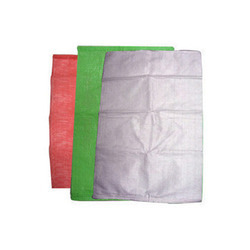 These rice bags are designed using plastic film. The offered bags are designed under the management of our experienced professionals using outstanding quality polypropylene film with the assistance of cutting-edge techniques. Advanced lamination machines along with computer graphics are used for providing flawless size and high capacity bags to the clients.